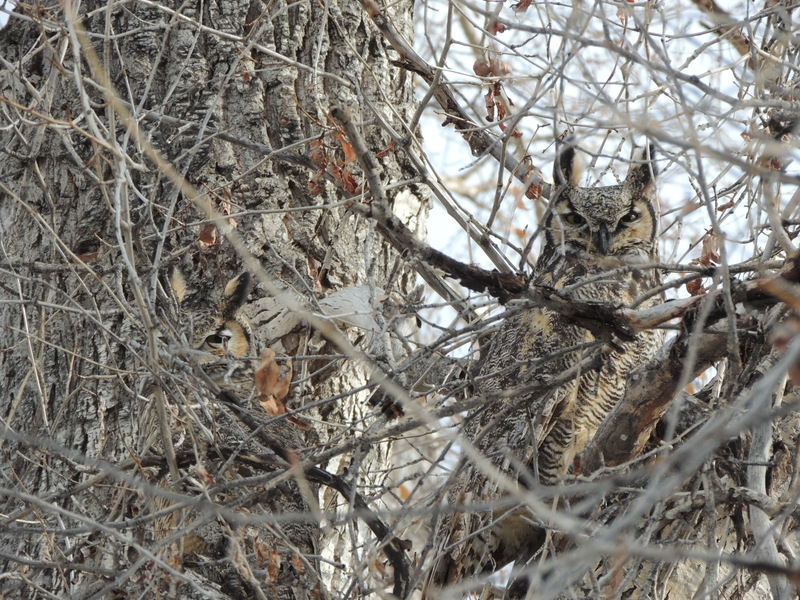 This entry was posted in Birding, Montana, Nature, Photography, Wildlife and tagged Great Horned Owl, hidden in plain sight, owl camouflage. Bookmark the permalink. Not one, but two — doubly cool! And an amazing disappearing act they can do! It really is amazing, isn’t it? Thanks for checking them out! Great photos. Love the post! Fantastic! That is a real score. It did pretty much make my day. 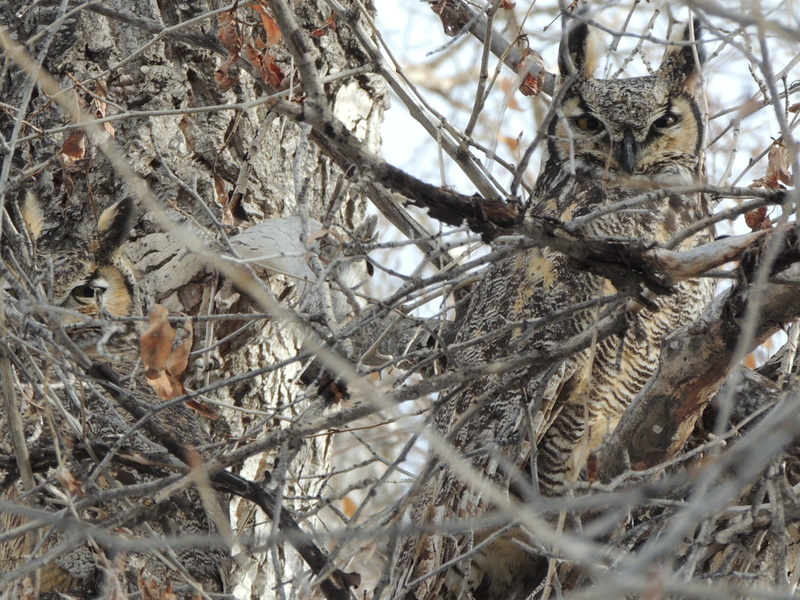 I went back today, and they’re still hanging out in the same spot. Wonderful, how magical to capture these magnificant birds! They do conjure up thoughts of magic,don’t they? There aren’t many birds that will just sit and watch you as you stumble around them, either! Brilliant camouflage, and great photographs! I was looking right tht second guy and never saw him. Very cool. Isn’t that incredible? 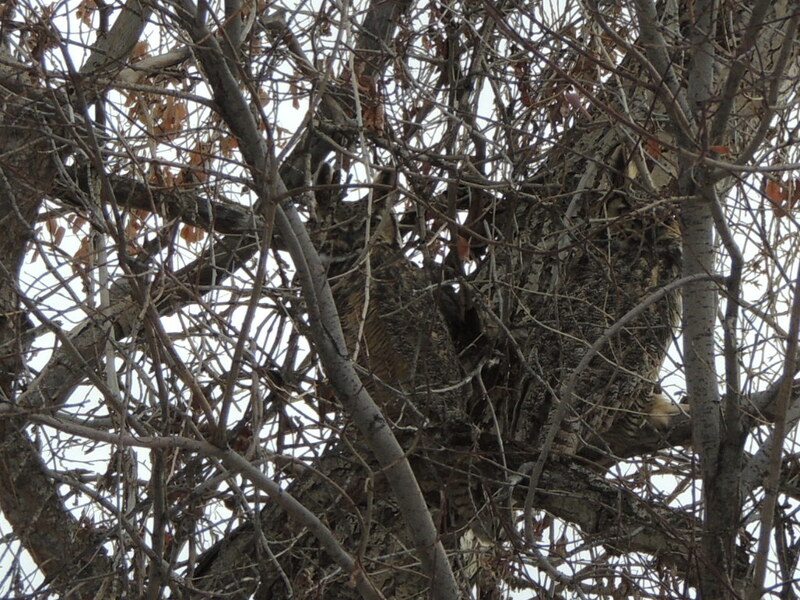 He seems to appear out of the tree. Magic indeed. I wonder how many I’ve missed. I know! 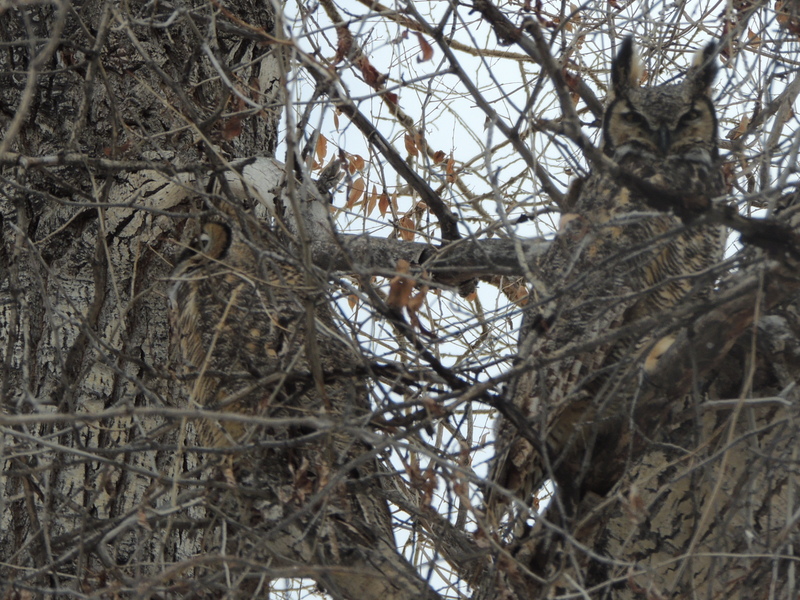 I’ve been scrutinizing every tree I go by now, sure that each one is filled with hidden owls. 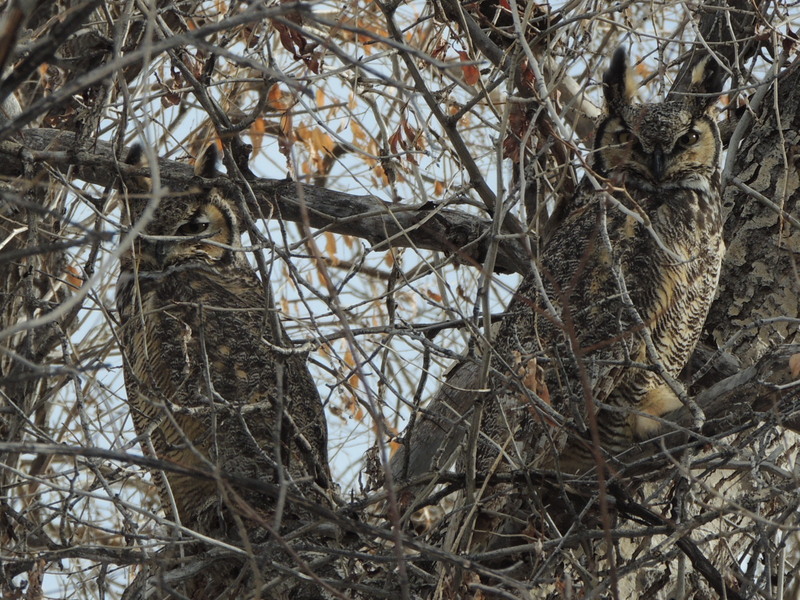 They definitely are magic owls. Amazing photos.